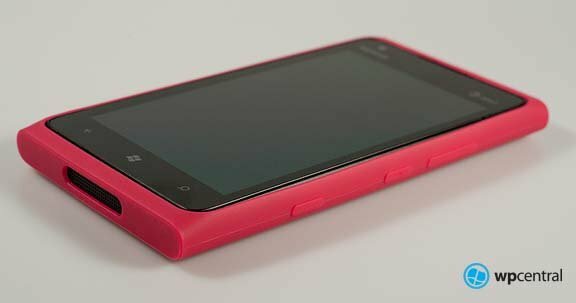 From launch, Nokia has offered a Gel Case and a Bumper case for the Lumia 900 Windows Phone. The two cases offer minimal protection, mainly against scratches. 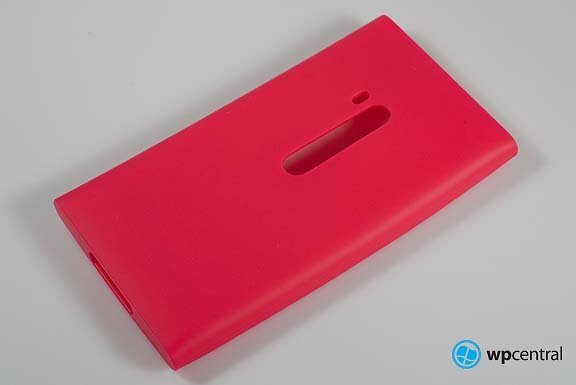 The cases are constructed from a rubbery plastic that is thick enough to maintain durability without adding any thickness to the Windows Phone. 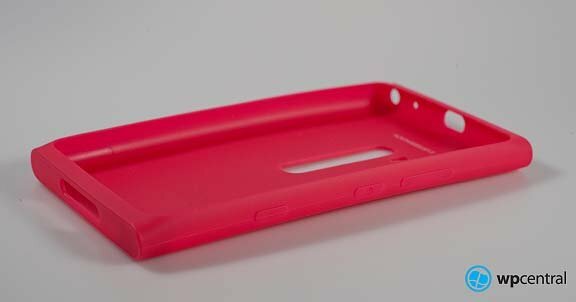 Each case style comes in an assortment of colors and each run $20. They both have a degree of appeal but after using both for a few days, I couldn't help but think Nokia could have done better. First up, we'll take a look at the Nokia Gel Case. 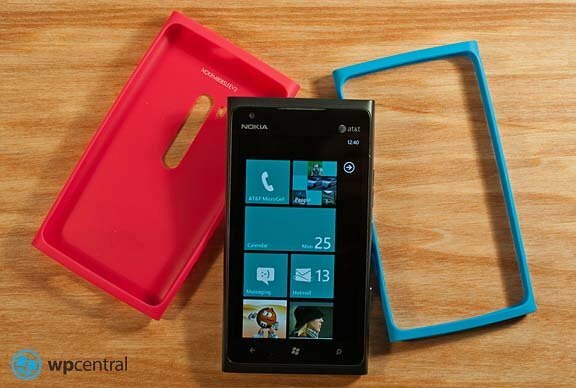 The Nokia Gel Case is a plastic shell or skin that form fits around your Nokia Lumia 900. It wraps around the sides of the Windows Phone and covers the back. Cutouts are present for the camera, light, headphone jack, speaker and micro-USB port. The Lumia 900's side buttons are covered by the case but rubber extensions are present that keep the buttons functional. The plastic gel skin is thick enough to protect the Lumia 900 from slight dings but mainly keeps the phone from getting scratched up. The fit of the case is decent and adds no noticeable bulk to the Lumia 900. Still, I couldn't help but feel it needed to be tighter around the sides. There is a lot of play in the case on either side of the phone that would let dust collect inside the case. I'm also concerned that such play in the fit may cause the case to wear out more quickly. It's hard to measure durability after using a case for only a few days. I will share that the AT&T Rep I deal with in Birmingham has been using the blue gel skin case since day one. The case does get a little dingy from wear but he reports that a little warm soapy water cleans it up nicely. In looking at his case, I saw no signs of tears in the plastic or stretching. The Nokia Gel Case is available through AT&T (you may be able to find them on Amazon.com or other third party retailers) for $20. In stores you can find the pink and black models and the blue model is available online. The Nokia Bumper Case is very similar to the Gel Skin case. Both are made from the thick, durable plastic. Both have cut outs for the speaker, micro-USB port and head phone jack. And both cover the side buttons with rubber extensions. The key difference is that the Bumper Case only wraps around the sides of the Nokia Lumia 900. The back of the phone remains exposed. Which makes you wonder why have a case that only covers the sides of the phone? 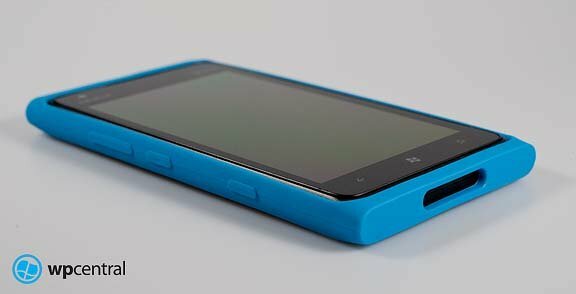 The Bumper Case is thick enough to offer some padding if you happen to drop your Lumia 900 on it's side but for the most part, the Bumper Case is only for appearances. Asides from exposing the back of the Windows Phone, the other weakness is the case's fit. The sides of the Bumper Case is extremely loose with a lot of wiggle room that exposes the sides of the Lumia 900 easily. Luckily, the top and bottom for the case fits snugly to prevent the case from slipping off the Lumia 900. 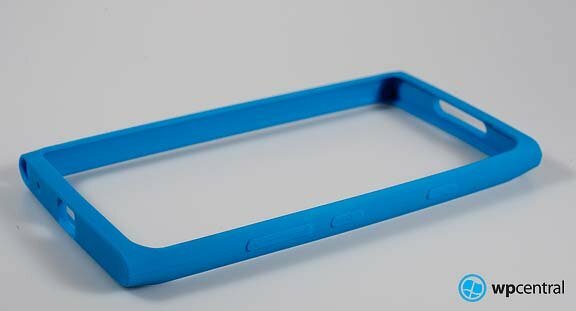 The Bumper case is running $20 at your local AT&T store and comes in blue and green. Push comes to shove, if I had to choose either of these cases it would be the Gel Skin. Both cases are made from durable, heavy plastic. The Bumper case does add a splash of color but I'm still not sold how well the Bumper will stay in place. The Gel Case offers minimal protection for your Lumia 900 and is fits more securely. That and the Gel Case covers/protects more of the Lumia 900 than the Bumper.